An unsolicited private proposal, a flexible masterplan and land-use plan, a quality team that overtakes the role of the public aesthetics commission, and private quality safeguarding for plan judgement and construction supervision. These instruments and agreements are used by housing association De Alliantie, the Municipality of Amsterdam, and other parties in the urban development project Theo Koomenbuurt on Zeeburgereiland. 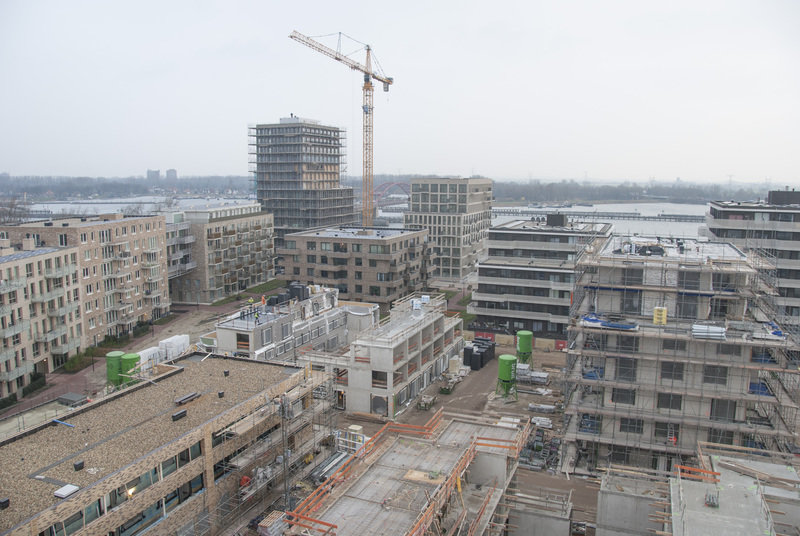 These agreements are exemplary for a gradual shift towards privatization in Dutch urban development practice. This article identifies the case-specific characteristics of and the actor experiences with these market-oriented instruments. In addition, it draws lessons for Dutch development practice: do these instruments result in process acceleration, cost efficiency, and balanced spatial quality? Heurkens, E. & De Zeeuw, F. (2017) Forms of privatization in Dutch urban development: From unsolicited proposals to private quality safeguarding. BOSS Magazine. 59, 14-17.